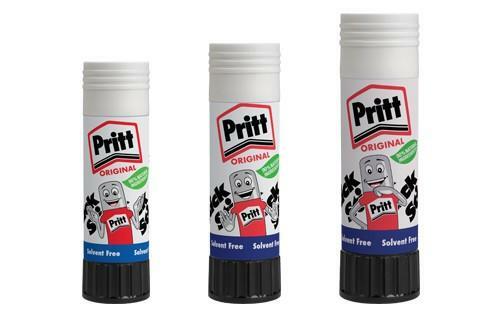 Pritt Stick is the ideal clean, quick and accurate way of sticking paper, cardboard and photos. Thanks to the special airtight cap tube system, the glue stick keeps fresh and can be used for several years. "Small" (11g) is well-suited for children and for gluing smaller areas, edges, and corners. "Medium" (22g) is the all rounder for creative and smart paperwork in office, school and at home.